Does working hard in the kitchen while everyone else is eating, drinking and socializing in the living room sound like your idea of a good time? If your goal is to be in the catering business, the answer should be an emphatic yes. A wide range of social and business events are providing an opportunity for caterers to cook up tasty dishes and delicious profits. In fact, social catering has seen some of the strongest growth in the overall food-ser­vice industry in recent years, and that trend is expected to continue. 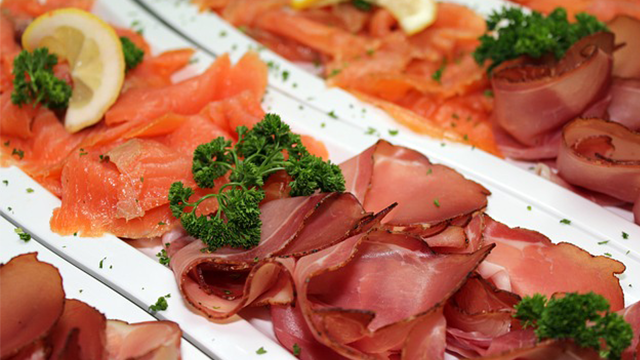 Successful caterers are organized, consistent and creative. They enjoy working in an environment that in some ways changes every day, while in other ways stays the same. While a lot of the preparation, cleaning and serving becomes a bit routine, the places to which you’ll travel and the kinds of functions you’ll attend can differ greatly. From a cost-of-entry perspective, catering is probably the most flexible of all the food-service businesses. While you need a commercial location, you can start small and build your equipment inventory as you need to. You may even find an existing commercial kitchen that you can rent, as Maxine Turner did when she started Cuisine Unlimited, her Salt Lake City catering operation. She operated in a school cafeteria for ten years before moving into her own commercial facility. In the beginning, if you need something unusual, such as a champagne fountain for a wedding reception, you can usually rent it rather than buy it. And your food inventory is easy to control, because in most cases you know well in advance exactly how many people you’re cooking for. Off-premises caterers who take the food to the customers, rather than a catering department that operates on-site in a hotel or convention center, may offer everything from a gourmet breakfast in bed for two to elegant dinners for 20 to charity galas for more than 1,000 guests. Some caterers specialize in one kind of food, such as cakes and pastries, while others offer a wide range of services, including floral arrangements, specialized props and costumes for theme parties and wedding coordination. The primary need of this market is food for breakfast and lunch meetings, although there will be some demand for cocktail parties and dinners. Service can range from simply preparing a platter of food that’s delivered to the client’s offices or a nearby location to cooking an elaborate meal and arranging it at the meeting site. Millions of dollars are spent each year on wedding receptions, with much of that being spent on food. Other special events that are commonly catered include bar and bat mitzvahs, anniversary dinners, birthday parties and graduations. Opera houses, museums, symphonies and other cultural and community organizations frequently have catered events ranging from light hors d’oeuvres to formal dinners, sometimes for as many as several thousand people. Of course, there’s a wide range of additional markets and specialties. You might cook for people with specific dietary restrictions, such as kosher, macrobiotic, gluten-free or other special food preparation requirements. You might focus on afternoon teas, celebration breakfasts or even picnic baskets. Another popular niche market is cooking for dual-career couples who don’t have time to cook for themselves. You can either go to their homes and prepare the meals there or cook at your own facility and deliver the food ready to be served. Another option is to offer several days’ or a week’s worth of meals prepared in advance that your customers can simply heat and serve. Let your imagination run wild with possible market ideas, then do some basic market research to see what’s likely to work in your area. Also see what caterers are already serving your area. First-rate caterers can demand and get top dollar for their services but you and your food must be top rate. You should also keep in mind some general market trends. For the most part, extravagant meals and rich foods are a thing of the past. These days, people are eating less beef and more poultry and fish, and they’re drinking less hard liquor and more beer and wine. They’re also more concerned about the bottom line than they once were. Many caterers say these trends have forced them to be more creative chefs, working with spices and ethnic dishes rather than with rich sauces.